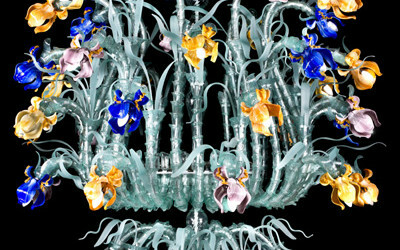 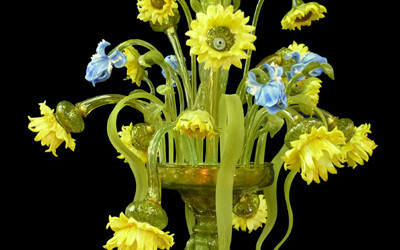 Splendid chandelier to cascade in crystal with 6 long luminous flowers to three turns of petals, 6 long leaves accompany the flowers. 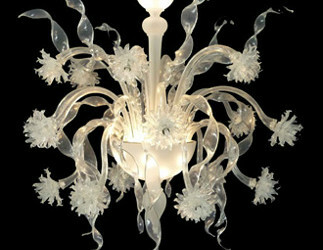 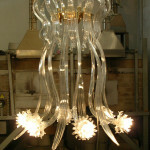 12 shorter leaves come down from top conferring to the chandelier the form of a jellyfish. 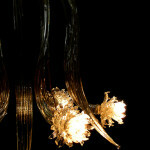 The chromium plated structure renders this essential and harmonious suspension.